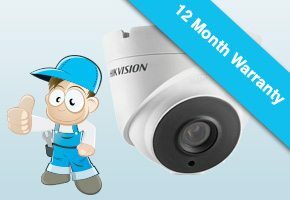 The Installers offer high quality Security Camera Installation. CCTV Systems are becoming more popular as the need grows and the technology improves. The ability to see who is around your home while you’re safely inside is a huge plus. Being able to see what has happened while you have been at work is also a great way to secure your property. You can even setup a Security Camera System to your main TV or Computer and for the real tech nerds login while you’re at work or similar. 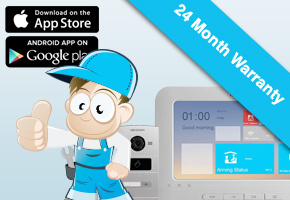 All our Security Camera Systems come with a 12-36 month warranty. 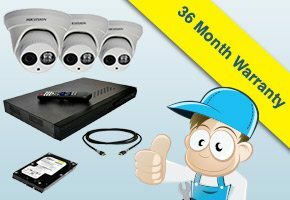 We have dedicated CCTV installers so you get the best possible configuration. We only use high quality components to ensure best picture quality and system lifetime. 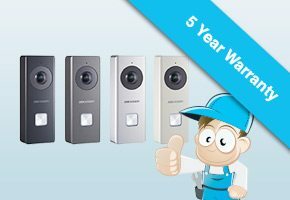 Get in touch if you would like a free quote or have any questions about our Security Camera Systems. Digital CCTV Systems offer the highest picture quality of all Security Camera Systems. All video is captured digitally, this allows the clearest picture to be transmitted in day and night. Another advantage of Digital CCTV (or IP Base Systems) over AHD CCTV is you can network the security footage to show on various devices and locations, e.g. iphone, computer, TV, laptop etc.. 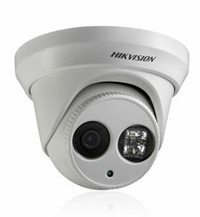 Experience HD real time video with the Hikvision 5 megapixel External Mini Dome Camera. This superb camera has an external/ingress rating of IP67 and also utilises the latest EXIR technology meaning this camera effectively has a night visibility of up to 30m. Also sporting an inbuilt 4mm fixed lens, this camera is great for covering a wide area so you can focus on the detail you really want. With 3d dynamic noise reduction, digital wide dynamic range and Back light compensation this dome camera is another example of Hikvision setting new quality and performance standards. Built in support for backup with USB Flash Disk, Movable hard disk writer, Network . 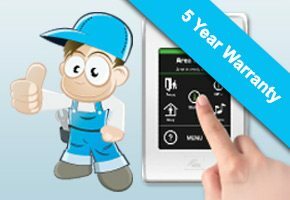 Intercoms Systems allow you to continually monitor all aspects of your home or business. 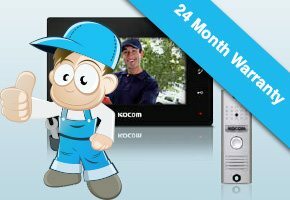 You will never have to open the door to a stranger again with a Kocom intercom system. 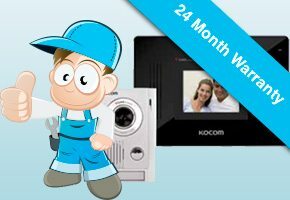 You can take pictures, record videos and have 24hr live access to what’s happening to your home or business surroundings.